A white UHPC concrete wave is the characterizing element of this system, composed by three different seats. 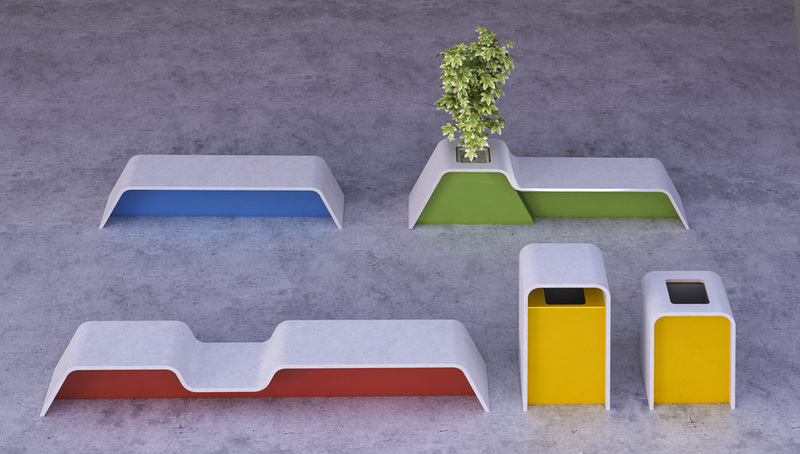 The concrete wave is held by a steel structure covered by steel sheets, playing as the aesthetic colorful element contrasting with the neutral white of the seat element. Flow system also includes by an open and a covered bin.